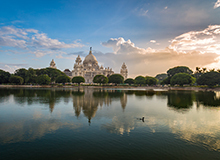 The capital of West Bengal, Kolkata is a city with many faces. Mainly developed by the British, it has grown rapidly to become one of the four metropolises in the country. A large number of globally operating companies like ITC Group, Tata Steel, Britannia, Visa and Philips have their offices or regional headquarters here. 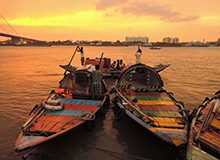 Haldia Port on the Hooghly River makes Kolkata a busy trade center, in turn bringing lots of business travelers here. 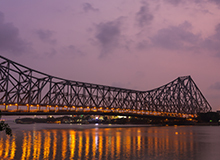 The British reign has left Kolkata with many magnificent buildings that are now important tourist attractions. In addition, the culture of West Bengal is extremely rich, and loads of people come to the city just to revel in regional traditions. 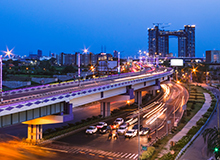 Owing to all these reasons, the hospitality sector is steadily prospering in the megacity; hence, finding hotels in Kolkata is no problem at all. Accommodation can be sought at luxury hotels as well as budget hotels in Kolkata. If you are looking for budget hotels in Kolkata, then look no further than FabHotels which offers several accommodation options in the City of Joy. The best hotels in Kolkata include FabExpress Mishra Residency, FabHotel Paradise Inn, FabHotel Astoria House and FabExpress Sushama Guest House. All these hotels have contemporary rooms with modern amenities and complimentary Wi-Fi as common features. 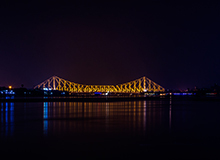 Other popular attractions in the city are Howrah Bridge, Nicco Park, Kalighat Temple, Maidan, Fort William, Science City and Birla Planetarium. Being a major city, Kolkata has no dearth of places that you can throng for retail therapy. Ardent foodies will instantly fall in love with Kolkata, as the cuisine of West Bengal is extremely flavorful. The delightful aroma of mustard fills every corner of the City of Joy. When in the city, do not forget to sample famous sweets like sandesh and rasgulla that are bound to be in their most authentic rendition in the capital of West Bengal. You will have a wide variety of seafood dishes to choose from, as West Bengal is primarily a coastal state. Popular restaurant chains in Kolkata like Barbeque Nation, McDonald's, Domino's, Pizza Hut, Café Coffee Day and India Coffee House also have several outlets here. Park Street is among the best places in Kolkata for foodies as it is lined with restaurants, cafes, street food stalls and bars. Those looking for hotels in Park Street Kolkata can go for FabHotel The Broadstreet Broadway. 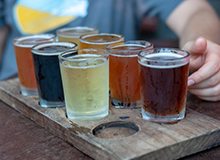 Being a major metropolis, Kolkata draws loads of people from across the country; hence, there are many of nightlife spots here. 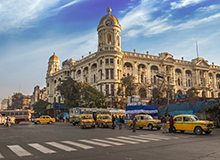 Being of immense commercial, historical and cultural significance, Kolkata is well connected to the rest of India by air, road and rail. By Air:Netaji Subhas Chandra International Airport has direct flights to and from Delhi, Mumbai, Chennai, Bangalore, Hyderabad, Dimapur, Dibrugarh, Pune, Port Blair, Bagdogra, Bhubaneswar, Imphal, Ahmedabad, Lucknow, Visakhapatnam, Kochi and Nagpur. The international destinations connected to the airport by scheduled air services include Kuala Lumpur, Dhaka, Singapore, Bangkok, Paro, Denpasar, Singapore, Colombo and Yangon..
By Train: Two of the largest and busiest railway stations in the entire country, Howrah Junction and Sealdah Junction are also located here. Several important trains, including Rajdhani Express connect the city to the national capital, Delhi. If you are looking for a hotel in Kolkata near railway station, you have a number of options to choose from. By Road:People can also take National Highway 12, 16 or 112 to reach the megacity from different parts of India. Why book FabHotels in Kolkata? FabHotels already has a number of economy hotels in Kolkata to choose from. All our hotels are located close to the airport and railway stations, major business zones, prominent retail hubs and popular attractions. You can even book a Kolkata hotel near New Market to experience the buzz at this heritage shopping complex. We also have numerous hotels in Kolkata for unmarried couples that offer all modern comfort and ample privacy. An online hotel booking in Kolkata can be made directly on our user-friendly website and Android/iOS app. "It was a nice day next month I will come to Kolkata and I can assure you I will definitely stay with you again"
"I am very happy with my last stay and everything was too good"
"Staff was very helpful and understanding." "Nice service and good food"
"Nice hotel and staff also helpful"
"I am very happy next month I will come again Calcutta and I am staying with you guys"
"This fabhotel is too good I feel I am staying in my home Everything was just too good"
"Staff was helpful i will visit again"
"Everything was too good. I am very satisfied with the hotel service." "It was fab stay in fabhotel De Sivalika. Nice clean hotel." "My overall experience was excellent with this hotel . Feel home stay." "I am very happy with my stay. And next month I will come to the Calcutta and I will definitely staying in your hotel"
"Awesome Experience AND feedback from my guest"
"It is good, when ever I'm coming, I will stay here. I will recommend here to stay"
"Nice clean hotel. Rooms are good. 24hrs staffs are available. Good location. Nice stat with fabhotel De Sivalika..."
"All Staff are awesome, room are clean, AC TV also working, food are also fresh. Service are very first"
Q:Which are the must see places to visit in Kolkata? A: Kolkata is thronged by tourists for its colonial heritage and Bengali culture. The must-see places to visit in Kolkata are Victoria Memorial, Dakshineswar Kali Temple, Maidan, Howrah Bridge, Science City, Indian Museum, Marble Palace, St Paul’s Cathedral, Prinsep Ghat, Alipore Zoo, Shaheed Minar, Birla Planetarium, Jorasanko Thakur Bari, Fort William and Kalighat Kali Temple. Q:How can I avail best discounted prices on hotels in Kolkata? A: FabHotels offers amazing discounts on hotel booking across India. To get the best discounted prices on hotels in Kolkata, click here. Q:Which are the top night clubs in Kolkata? A: The nightlife culture in Kolkata is picking up rapidly owing to the commercial significance of the city. Roxy, Someplace Else Pub, Shisha, M Bar Kitchen, The Myx, Nocturne, UG Reincarnated, Club Boudoir, Aqua, Phoenix, Tantra and Soho Kitchen Lounge & Bar are the top nightclubs in Kolkata. Q:Which are the short trips that can be done from Kolkata? A: There are a large number of nearby places that can be visited while in the metropolis. Digha, Bakkhali, Sundarbans National Park, Santiniketan, Mandarmani and Tajpur are among the preferred weekend getaways near Kolkata for short trips. Yes, we have a Kolkata hotel booking app for Android and iOS platforms. Our Kolkata hotel booking app offers seamless booking experience, quick and safe transactions, and a range of deals and discounts. Search for FabHotels hotel booking app in Google Playstore or App Store today to save on 400+ hotels pan-India. 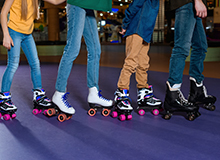 Q:Which are the best discotheques/party places in Kolkata? A: Kolkata has numerous discotheques/party places, much to the delight of the youth. These include Someplace Else Pub, M Bar Kitchen, Roxy, Shisha, The Myx, Nocturne, Club Boudoir, Phoenix, UG Reincarnated, Soho Kitchen Lounge & Bar, Aqua and Tantra. Q:Are unmarried couples allowed stay in Kolkata hotels? A: Yes. Please check out all couple friendly hotels in Kolkata here. Q:Which are the hotels in Kolkata with a budget of 1000 or less? 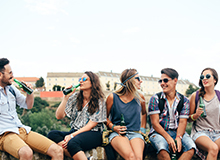 A: FabExpress Newtown Violet, FabHotel Astoria House I and FabExpress Mishra Residency II are the low-price hotels which are booked under 1000. Hordes of hotels in Kolkata have in-house restaurants so guests don’t have to go anywhere for a delicious meal. FabHotel Astoria House I and FabExpress Calwien are the good budget hotels in Kolkata with facilities of in-house restaurants. Q:Which are the things to do in Kolkata? 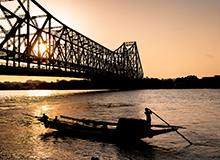 A: It is a popular holiday destination with loads of things to do in Kolkata. Visitors can visit its famous monuments, shop at local markets, try Bengali dishes, party at pubs and attend Durga Puja celebrations during Navratri.